Megan is a maker of intricate, sculptural cakes — and she believes that baking is a fine art. In butter tarts, raisins or no raisins? "Raisins. Always raisins." Megan Stasiewich has always loved baking. As a kid, she baked with her mother and grandmother. Now, she's trying to pass that joy on to her children. Even with three boys at home, Megan bakes every day. She finds any excuse to fit baking into her busy schedule: barbecues, birthdays, weddings, births, even injuries. "Baking is a huge part of my life," she says. "I bake all our breads from scratch. It's my way of showing love to those around us. I bake or cook for everyone. You have a baby? I am at your house with 10 freezer meals and enough home-baked goods to last months." The self-described "art nerd" sees baking as another outlet for her creativity. "Baking, to me, is a fine art," she says. "It takes creativity and passion." 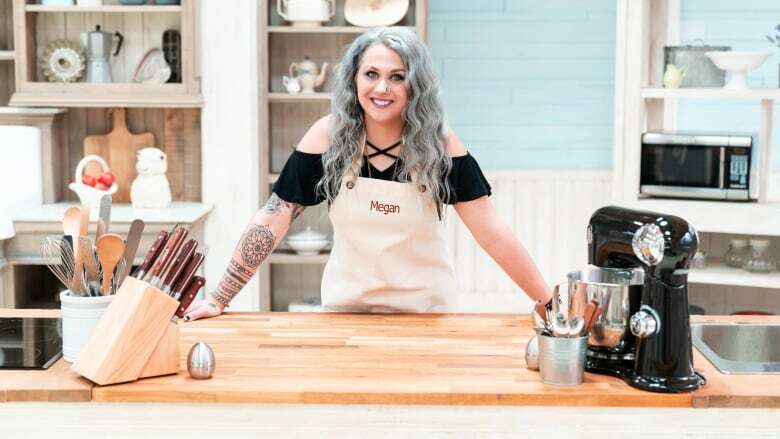 Megan has a versatile, intuitive baking style and rarely sticks to a recipe as written. In addition to baking all her family's bread, she has a flair for sculptural cakes. "Once, I made a two-foot tall, two-foot long standing hand-carved grizzly bear cake," she says. "He weighed almost 100 pounds and had a red velvet inside — for that added kind of sick twist when cut open."